Specializing in dogs & cats, large or small. Offering the best care for your best friend. West Winds Veterinary Services, PC, provides a broad range of medical and surgical animal care services. We strive to give our clients and patients a positive, low stress experience during each visit. We offer routine checkups and vaccinations, affordable spay & neuter services, emergency care, dental care, computerized radiology and an in-house lab. We offer drop off appointments at no additional charge. Our doctor Kristina L Trautman, DVM grew up on a ranch north of Pierre, SD. She graduated from SDSU in Brookings, SD with a bachelor degree in Animal Science and Pre Vet. She attended Texas A&M where she acquired her doctor of Veterinary Medicine degree. She has many passions including Vet Med, her many rescues, outdoor activities, horseback riding, biking, running and giving back to the community through local charities. Her motto is "If you are going to work hard, you should also play hard." Routine checkups are essential to the health of your pet. The American Animal Hospital Association states that all pets should have a minimum of one checkup per year, with more frequent visits as the animal ages. Our passion is affordable routine preventative care, early detection and treatment of disease, medical, dental, and surgical care of your beloved pet. We offer an assortment of packages for your pet that provide an exam with bloodwork at discounted prices. 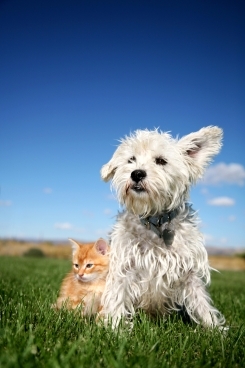 We also offer the vaccinations that are necessary to ensure your pet enjoys the healthiest life possible. Our veterinarian follows the highest level of care standards when completing any type of surgery. 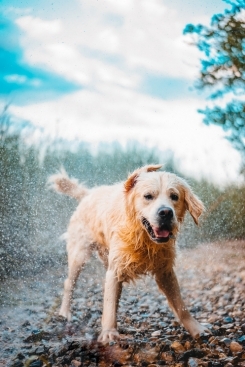 We place a strong emphasis on pain management to make sure that your pet is comfortable and safe throughout the entire procedure, as well as during recovery. Our clinic assures all procedures are completed with the utmost compassion and dedication to the wellness of your pet. Neutering or spaying your pet is an important part of animal care, as such procedures minimize behavioral problems and help your dog or cat live a healthier, longer life. In addition, such procedures help control the animal population, thus decreasing the number of dogs and cats that are euthanized each year. Feel free to call our office to discuss the most appropriate age for your pet to be spayed or neutered, as well as other diagnostics and procedures essential to a safe surgical procedure. The most important reason to schedule a checkup for your pet on a regular basis is to monitor and treat health problems before they get out of hand. Because pets cannot vocalize what they feel, disease or illness may be present long before symptoms appear. For this reason, early detection is essential, as it gives us time to manage or correct the problem before it causes irreversible damage. It is also important to keep in mind that pets age much faster than humans, and therefore the best way to ensure your pet lives the longest, healthiest life possible is to schedule regular wellness exams. Dental health is essential to the overall health of your dog or cat. According to the American Veterinary Dental Society, 70 percent of cats and 80 percent of dogs have oral disease by the time they reach three years of age, making it the most common disease in pets. Additionally, it is frequently an unrecognized source of pain for dogs and cats as well as an underlying cause of many other diseases such as heart and kidney disease. We provide oral cleaning and care to ensure that everything possible is done to prevent tooth and gum disease in your pet, preventing future problems. We enjoy giving back to the community. 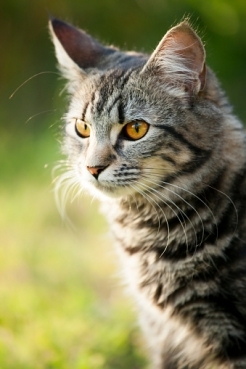 Discounts on routine surgeries are given to those adopting from humane societies. We participate in local charity events raising money for their causes. We believe giving back to the local community is an important aspect to any business. Our house call service is perfect for those with mobility issues or transportation problems, as well as for older pets or nervous animals who may find visits to an office traumatic. Our house call services are also ideal for owners of multiple pets, where a home visit is more convenient than taking a high number of animals to a clinic on a regular basis. We offer many routine and non-routine services during home visits, and clients are happy with the convenience and care provided by this special service. Many people are hesitant to board their pets, but in certain instances it is necessary. In most cases, bad boarding experiences come from boarding animals at standard kennels that do little to minimize the stress your pet feels by having his or her habits and routines interrupted. However, when you board with us, you can rest assured we do everything possible to make your pet's stay a comfortable and happy experience. Our highly trained and qualified staff members care for your animals as if they were their own, thus minimizing stress and anxiety, and creating a positive environment for your pet.